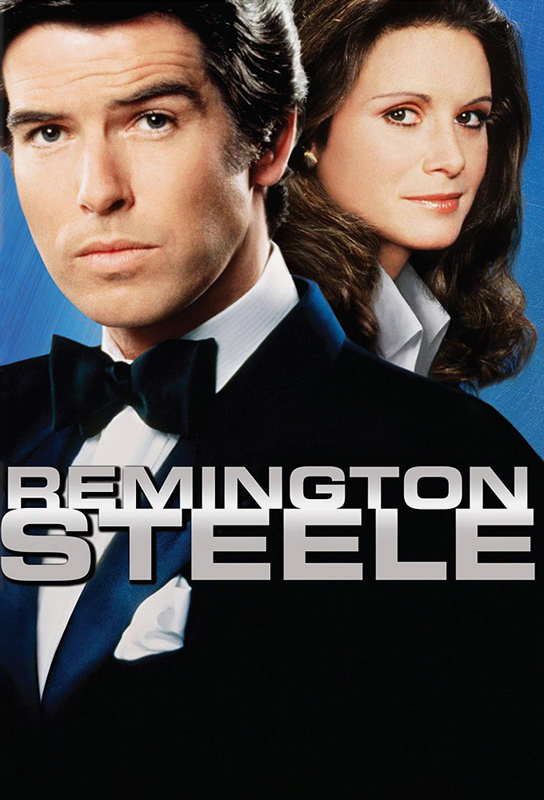 Private eye Laura Holt sees her fictional boss Remington Steele suddenly come to life as she is trying to protect a $2 million jewel shipment from assorted thieves. Laura tackles a case of industrial espionage in a family-owned business while Steele enlists an old pal to help him install a burglar alarm. A video game genius disappears just before a merger, with $5 million and the plans for his companys latest video game. Laura and Steele spend the weekend trying to keep a CIA researcher alive and on time for his wedding. A woman from Steeles past asks him to help her steal a valuable painting that Laura has already agreed to protect. A loser asks the agency to help him, but his alibi witness is found dead in Steeles apartment and his lawyer seems more interested in Laura than in the case. Laura and Steele investigate the murder of an author whose steamy novels badly mirror her own married life. A lesson in detective work for Steele escalates a jaywalking accident into an encounter with Japanese gangsters. Steele investigates a murder when Lauras former colleagues gather for a reunion and old grievances begin to re-emerge. A client commits suicide in the office so Steele and Laura attend a house party on an island owned by a wealthy publisher in his place in an attempt to find out why. Steele comes to the aid of an aging B-movie queen whose daughter is trying to commit her and who someone is apparently trying to kill. Steele gets involved with the murder of a naturalist when he serves on a committee to save the bald eagle. Laura and Steele go undercover at a sleep-disorders clinic to investigate the disappearance of morphine and a doctor. Steele and Laura pose as a battling couple while they investigate murder attempts against an aggressive divorce lawyer. Laura and Steele wind up working for opposite sides of a jewelry theft when the frightened thief looks for help when someone else beats him to the jewel. Murphys college homecoming is marred by a murder that awakens memories of a bombing on campus ten years before. Laura searches for a vanished artist whose works have suddenly appreciated in value, for both her husband and the owner of an art gallery. Laura and Steele investigate the increasingly dangerous pranks someone is pulling on the news team of a local television station. Lauras former flame asks her help when he discovers a corpse in the trunk of his car, a corpse that keeps returning as they check out a winery hes involved with. A prospectors journal stolen during a party leads Laura and Steele on a wild gold hunt through the desert. Steeles mentor, Daniel Chalmers, comes to California to ask for Steeles help in dealing with a vindictive crook. Steele stops a distraught young man from killing himself then must find a missing girl and a borrowed $50,000 to keep him from trying again.